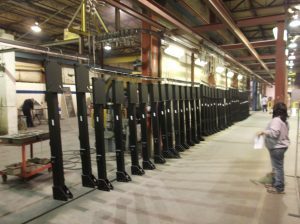 KMI has established long-term contract manufacturing agreements with many companies across a broad spectrum of industries. 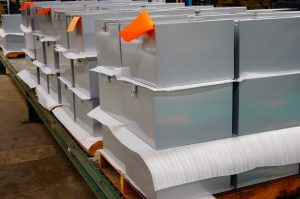 This has, in essence, led to KMI becoming their manufacturing partner for providing custom metal fabrications or enclosures on a recurring production basis rather than on a single-project basis. KMI’s many relationships have begun small and grown over a long period of time as our clients realize just how much KMI can do for them. We have facilitated significant customer growth, for customers who fabricated for themselves by becoming their exclusive fabrications supplier. 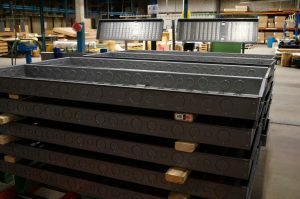 Others have taken advantage of the reduced costs that KMI has provided by consolidating their supply chain, reducing their fabricator supply base from three or four down to just one or two. These clients gained internal cost savings as well as landed cost reductions! 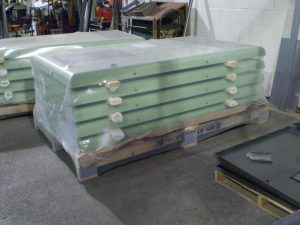 In addition to KMI’s standard capabilities and offerings, our Contract manufacturing partners have gained from KMI’s expertise in deploying re-usable shipping containers as a cost savings measure. 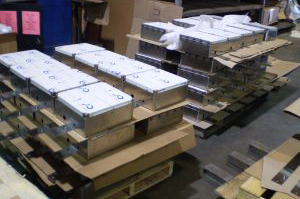 Some KMI contracts have included the design, build and process implementation of Point2Point ® Carts when applicable. 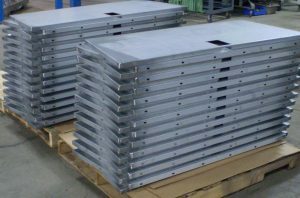 These carts are the perfect packaging solution for easily damaged, planar finished sheet metal parts, as they eliminate metal to metal contact and are standard product for KMI. 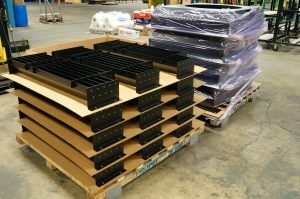 The carts eliminate packaging material and its use and disposal, and are the perfect foundation for a “lean” inventory/ replenishment system such as Kanban. 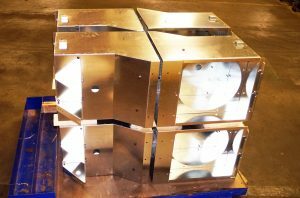 This kind of contract manufacturing partnership enables us to dedicate all of our resources – our manufacturing/fabrication capabilities – to your long term needs. In so doing, we can bring a whole new level of process efficiencies, cost-efficiencies, and very real savings to your business. Our contract manufacturing partners gain through the consistent availability of KMI expertise, be it in product design, drawing practice refinement and standardization, supply chain evaluation and more! Contact us to set an appointment with a sales engineer to see how KMI can help your business be more successful!